I'm back! The internet is back on! 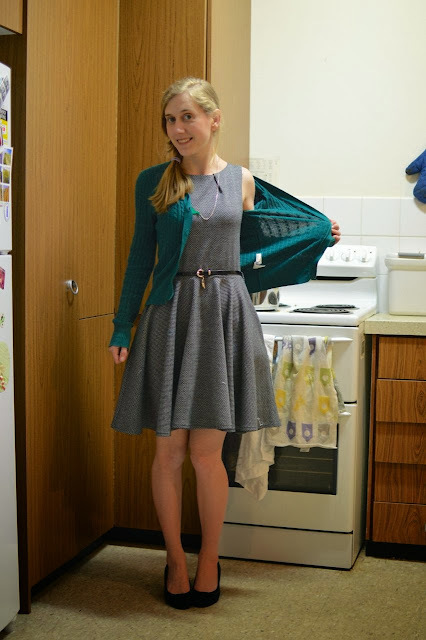 On Wednesday I wore this heavy grey dress with my teal cardigan. It was SUPER WINDY on Wednesday, so I needed something that wouldn't blow around! I was kinda cold so to show you the top you can see one shoulder. 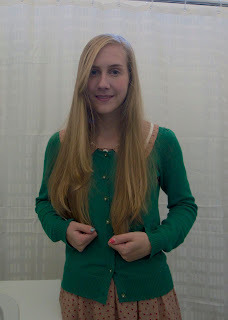 As you can see, it has those interesting neck pleats just like my Luck Be A Lady dresses, except it is not that brand! 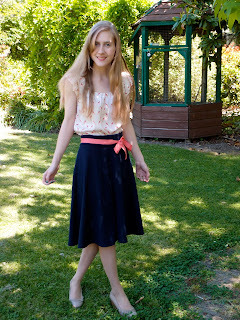 It has a different fabric and also a different cut of skirt.